Where do I need to be and what do I need to do? I have struggled with those questions often throughout my time on earth. You may have too. They are very important questions. However, I’m finding this to be true over and over again; God is more concerned about my obedience than my location. Don’t get me wrong, I do believe that God has specific places for specific people. This does not negate the fact that God carries those people there. He sends those people there. He somehow manages to get those people there as would be the case for Jonah and the great fish. Who I Am? vs. Where I Am? The issue with God is not can He use me where I am or where He’s taking me. The issue is who I become along the way and through the situations. God’s greatest ambition is conformity to that of His Son. There is none who was or is more obedient than Jesus. Obedience is a benchmark of Jesus, even obedience unto death on a cross (Philippians 2). God seems to have a greater concern about developing me into a certain person than taking me to a certain place. How does He do this? No other way than through the revelation of Himself. So often, I want God to reveal His plan instead of Himself. I want to know the in’s and out’s, the details, the lowdown but God does not cave into my desires. He instead fulfills me with Himself. For me to become all that God wants, I have to stop looking ahead and start looking up. Abraham went out not knowing where He was going but He knew Who he was going with. He was going with God. 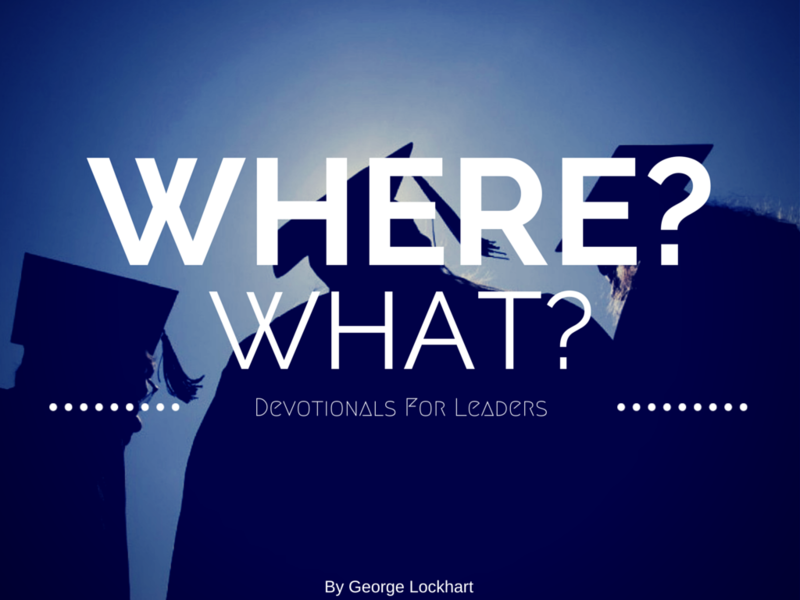 I wonder how many times I have gone without God…knowing where I was going but oblivious that God was not with me? The knowing of the Christian walk is not to a place but with a Person, the person of Jesus Christ. As we walk with Him we become. We move forward at times but we move inward all the time. Obedience is an inward job and the only way to accomplish it is to obey. Maybe God is not sending me anywhere except to Himself? Maybe that’s the ultimate destination?